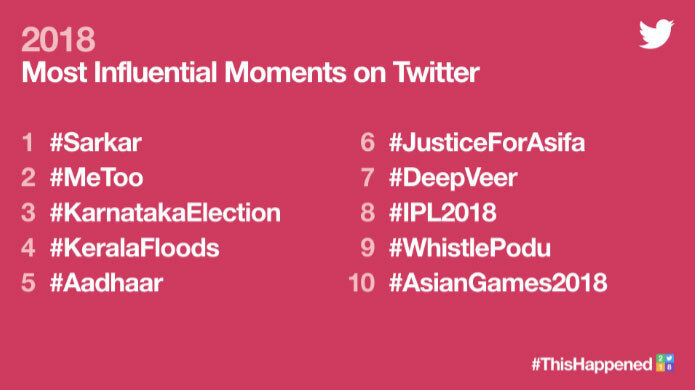 From #MeToo to #Sarkar, #IPL, state elections, and everyday interests, Indians flocked to Twitter to find out what’s happening in the world and to talk about it says the Twitter 2018 statistics. 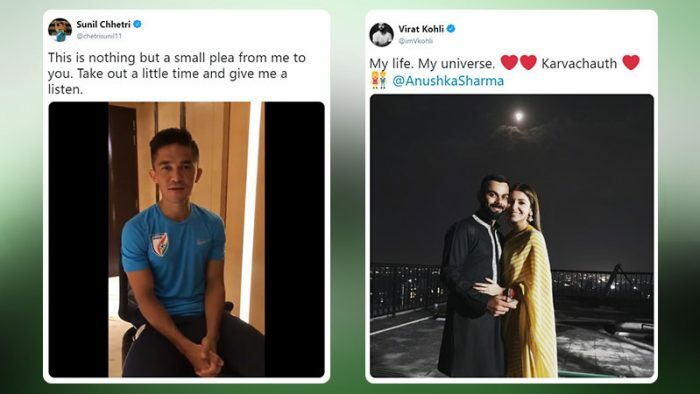 Virat Kohli’s (@imVkohli) Tweet featuring a picture with Anushka Sharma (@AnushkaSharma) on the occasion of Karvachauth, quite literally won hearts on Twitter. With over 215K Likes, the Tweet showcasing the celebrity couple in ethnic wear emerged as the Most Liked Tweet of 2018*. The Tamil-language socio-political drama film starring superstar Rajinikanth, #Kaala, evoked a massive response from fans worldwide. The first-ever Rajinikanth emoji on Twitter further led the movie to be a topic of high interest on Twitter amongst fans, audiences, and industry. The #MeToo movement emerged in India this year. 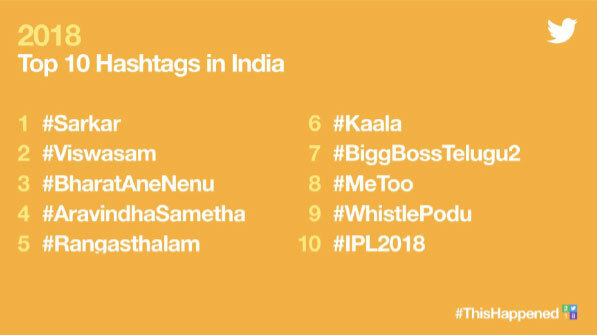 As the hashtags #MeToo and #MeTooIndia continued to trend in the country, people started to pay more attention to women’s safety issues across sections of the Indian society, including government, media, and the Bollywood film industry. Twitter saw more than 3 million mentions in relation to the #KarnatakaElections2018 from Apr 25 – May 15, 2018. Despite the fact that the election occurred in one State of India, i.e. Karnataka, discussions on Twitter were vibrant all over the country and even overseas. With 2018 being their year of the comeback, Chennai Super Kings (@ChennaiIPL) had the crowd chanting #WhistlePodu as they made the dash for the coveted IPL 2018 trophy. Encouraging fans to cheer for the team, @ChennaiIPL made a special video for #WhistlePodu, the colloquial expression in Tamil which means ‘to whistle’, and drove the fans into a Tweeting frenzy with their performance. People in India and all over the world come to Twitter every day to have conversations and to find out and catch up on what’s happening in the world.